Hey Shanbon, you may have read my mind there haha. 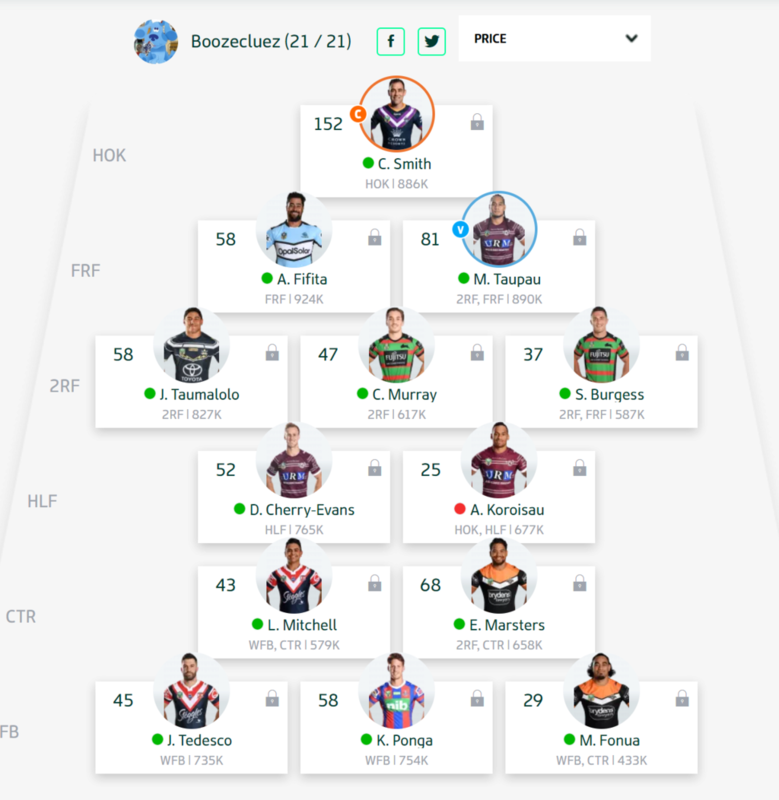 Yeah the Koroisau injury hurts and while I have been steadily climbing the ranks my trades remaining have disappeared. Was always the gamble but it was fun at least. 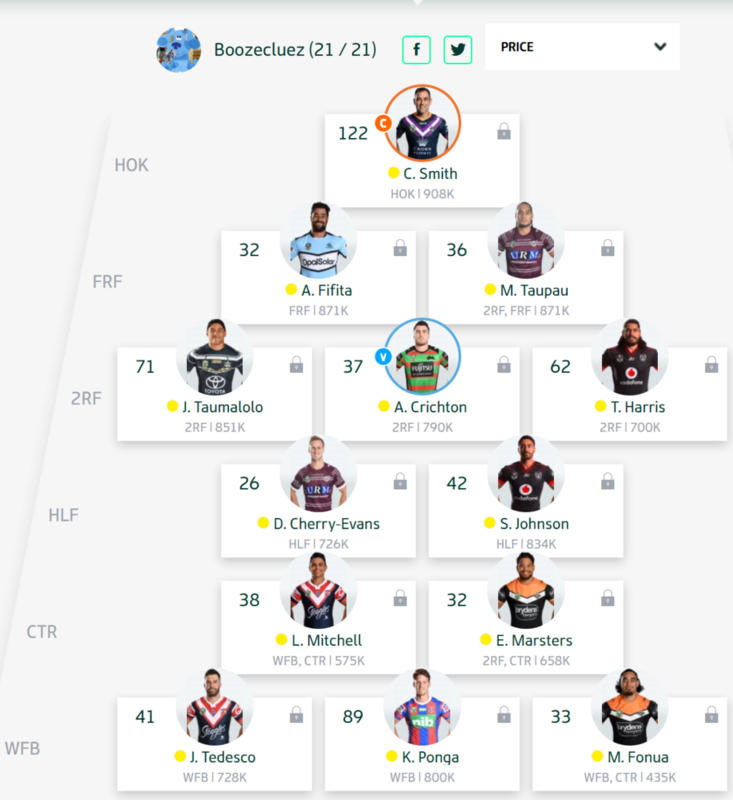 i need a replacement for Koro, another player in my 17 and a cash out to help fund it. 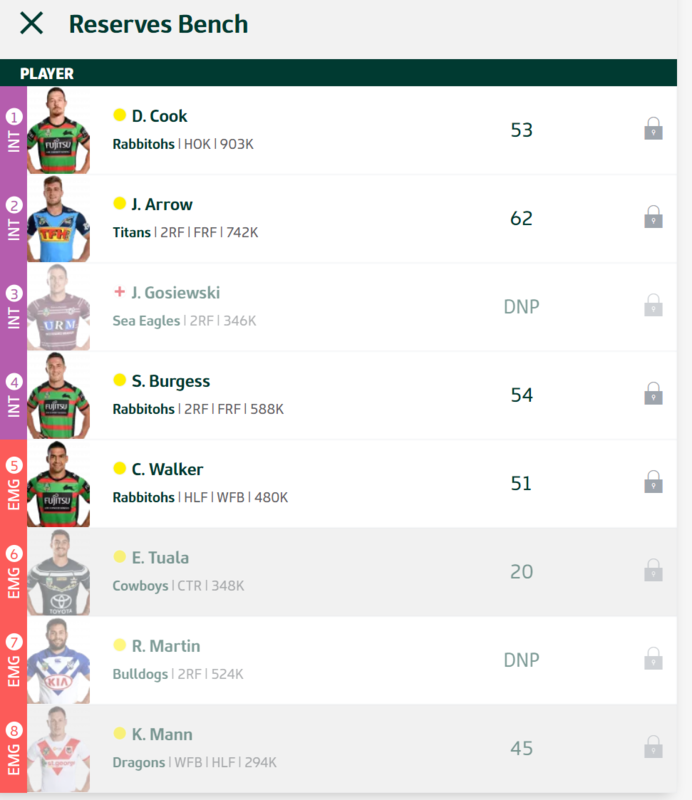 Will have to gamble on Cody Walker returning to form but at least he can cover half in an emergency. Had a bit of bad luck so have just traded hard... Hopefully I don't get burnt at the end of the season haha. A gun and top 5 player who is exciting to watch. 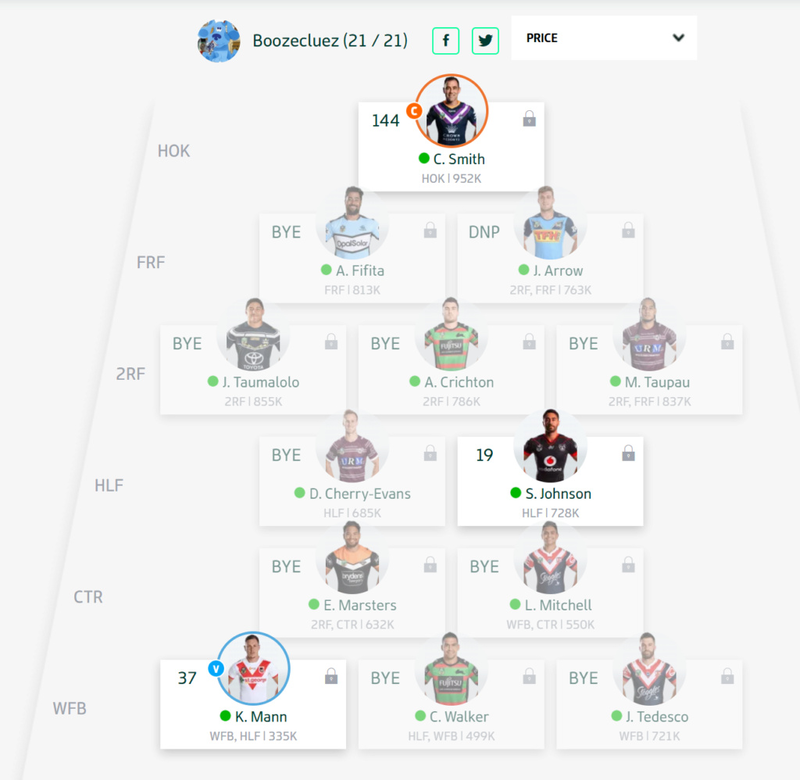 Should play the big round 17 bye and while had a bit of a bad run with injuries he came back firing last week so one to definitely have a gamble on. Unsure at this stage. Have brainstormed a couple ideas. 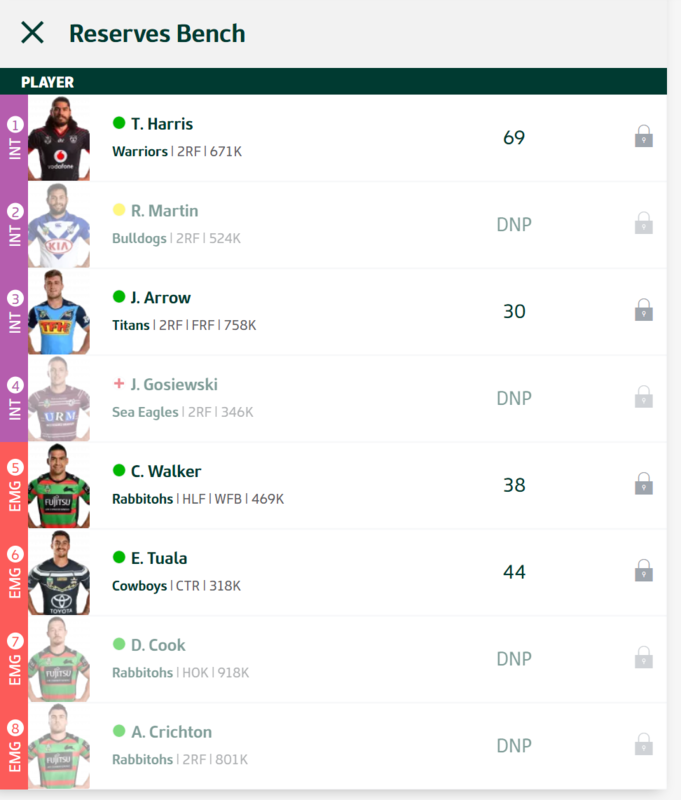 Yes he may outscore someone like CWalker back there for those games but I am then already 2 down and if it means I could get caught out next week as well. Selling him gets me someone that plays this week and their points are invaluable given it is the only round left really to make any ground. 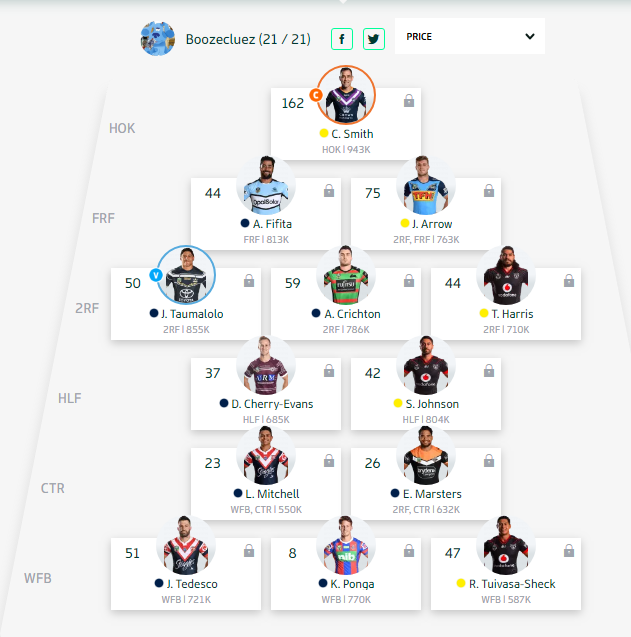 The conservative approach is simply to save 2 trades and bring in Mcinnes for Harris but then I am struggling to cover players being rested or short term injuries. 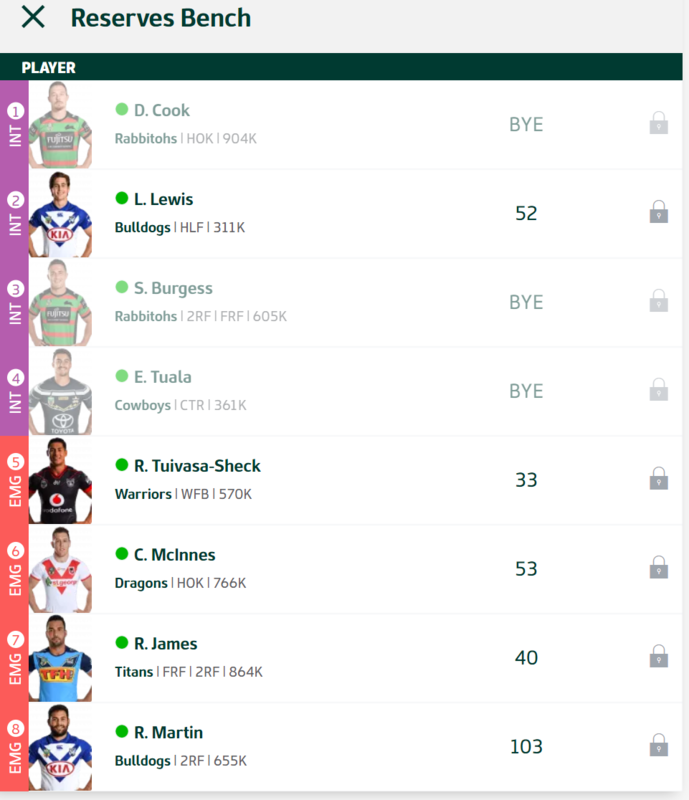 So may as well just use them all because if I get more season ending injuries it won't matter if I have a couple trades left as my own season will have ended haha. 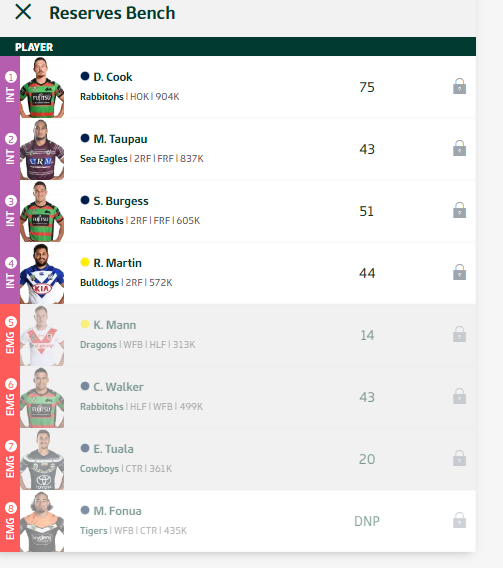 Moght be best to trade Harris to McInnes this week, make a 2nd trade if you want but hold Ponga for 1 week see if an early return is possible and if not get Turbo. I would think Turbo over the rest of the season makes up the points anyone you bring in this week scores.